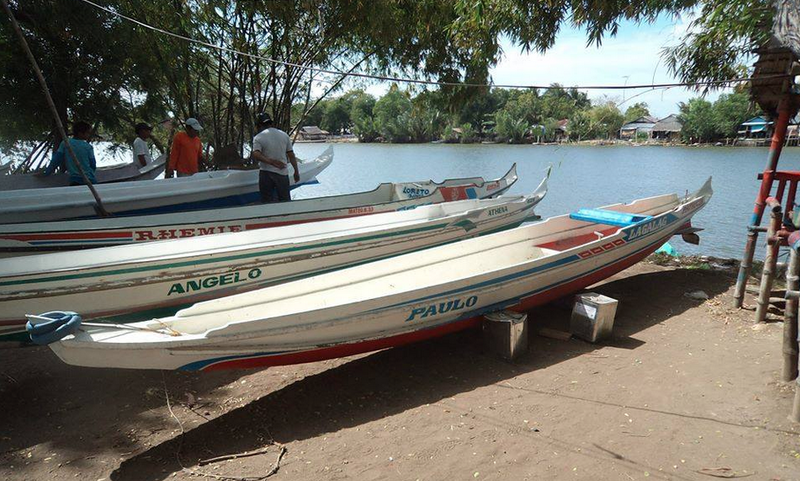 As reported previously, we are engaged in a pilot project to replace the 28 fishing boats of our home barangay of Guinob-an, which were lost in the storm. We have ordered the first five and building will start in the next day or two. Meanwhile, although helping the fishermen of Guinob-an helps our family and village — there were 12,000 barangays badly affected by the storm, so the problem of getting fishermen back to the sea is enormous when looked at on a macro scale. P4,000 for the Onayan assembly including the onayan (dugout hull), legason (vertical ribs), battayola (horizontal ribs), and pamarong (prow). P4,600 for materials including marine plywood, bronze nails, epoxy, alcohol (to mix with epoxy), and paint. Outriggers, oars, etc are labor only. So all in, paying regular labor rates, P25,000 is what it costs — in US Dollars, that’s $600 to get a fisherman back on the water earning his livelihood. The two areas where a savings can be made are the cost of the onayan and the labor costs — both of which are actually mostly labor costs since the onayan is “harvested” from the forest and payment goes to the team who goes in and harvests it. There are some replacement boat projects that are trying to get it done with no labor costs — just material costs. And a case can be made for that. On the other hand, payments made for boatbuilding labor have a multiplier effect within the community as the money is spent ad re-spent locally in the affected community, and thus there is an added benefit, beyond getting fishermen back on the water, if labor payments are paid. It also provides a much greater measure of manufacturing control and so our inclination is to pay for the labor, perhaps at a modestly discounted rate — but not for free. As the foregoing suggests — traditional bancas (and I’m using the word banca generically — in Samar, “baloto” and “binigiw” are traditional terms for fishing boats and nowadays they call motorized fishing boats by the name “motor”) are made from a harvested tree hull, marine plywood, epoxy, bronze nails, paint, and an engine/propeller assembly. According to Blueboys, these cost P25,000 and I’m pretty sure that’s without the motor. If by any chance that’s the price with the motor, then it seems almost like a no-brainer that moving from wood to fiberglass would be the way to go. If the motor is separate — then the cost comparison would be, by my reckoning, 25,000 for the traditional motorized banca and 35,000 for a fiberglass model. Advantages to the fiberglass version are obvious but I’ll state them: first, you don’t kill trees to make it, and second, it lasts longer. There’s a reason they’ve been making small boats with fiberglass in the US since forever …. Now there are still many unknowns in the equation. Do the fiberglass bancas perform in a way that suits the fishermen? Are there other factors that come into play and might cause these boats to be less attractive? We will need to explore that further. There is also the question of whether the idea would be to contract with one or more factories like this who are already doing it — or, given the scope of the problem caused by Typhoon Haiyan, look into getting an outfit like this to set up a satellite operation in Samar, or even crating such a capability from the ground up. 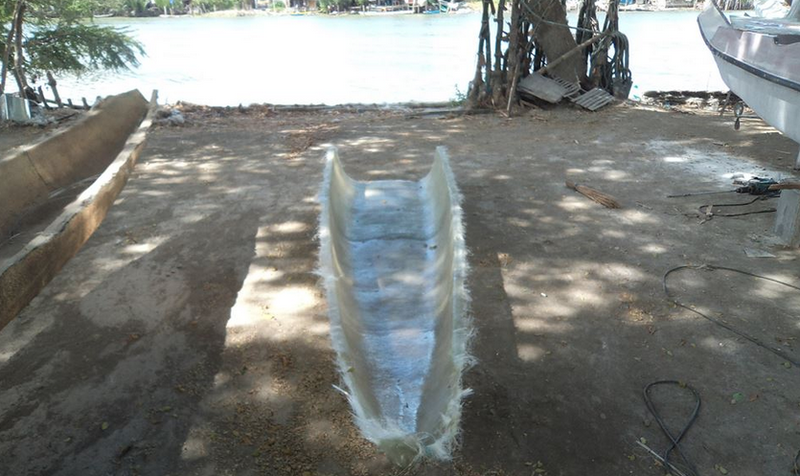 What About A Fiberglass Boat Factory in Samar? What, exactly is needed, to build fiberglass bancas? You need a mold, for sure. I’m assuming you could buy a mold from someone who’s already created one, or you could create one. Much to think about …. any fiberglass boat builders who can shed some light and help with the learning curve, please come forward. I am in search of a fiberglass banca fishing boat about 20 foot or so with a 16 hp Honda motor. I’m in Bato Toledo and do far have not been able to locate a boat. If any one could point me in the right direction it would be greatly appreciated. we are a non-stock non profit group – our adopted community is based in bucana el nido palawan. like to start with 1 fishing boat. Would appreciate your inputs. My email add is tec_con@hotmail.com. would like to meet you and see how i can be help. Hi sir! my name is Johann, i am the Technical/Mfg. Process Manager of BP Technologies, a composites supply company based here in Manila, Philippines. With regards to your write-up, i believe i have insights that can help you for your next one regarding Fibre-glass Boats in Samar, if ever you`re gonna write one.. We are currently working with various Non-Government Organisations in rebuilding the economy and livelihood of our fellow-men in Central-Visayas Region, specifically, we are building thousands of purely Fibre-glass boats, as donations for the 20,000 fishermen and families who lost their boats during the Typhoon. Time is of the essence, so we are using cutting edge-technology and the most cost-effective way of manufacturing to quickly regain the footing of our brethren in the Visayas area. Our team is composed of experts in using fibreglass for boat applications, a Naval Architect to head the whole production, and the rest of the company to support in every aspect of the project. Logistics has been a challenge since the affected area is composed of numerously-separated islands, but with the help of our logistics-partners and the NGOs, everything is going as planned. Help is on the way! As you can see, we are more than excited to help out. we are lucky that we were able to talk to the right people, these NGOs. Generous people who set aside some of their time and money to help out in the efforts to bring back the lives of the people in Samar, as well as the other affected Visayan areas. anyways, i hope we can talk more soon, so that our efforts as concerned and loving people be showcased in your stories. May God bless you! Hello mr Cesar Sison! it is good to hear a response! anyways you may contact me through my e-mail jmangussad.bptech@gmail.com , our Manila Facility is located at Taguig. you may visit us there as well! hope to hear from you Mr. Sison! God Bless! Hello Mr. Mangussad. I was wondering if you are also building Fiberglass Banca that can hold 20 people to be used for Boat Touring. I’m looking for 3-4 bancas that I would like to replaced the wooden ones. Please let me know the cost. Thanks.